Both Milan clubs praised after their displays on Sunday, scoring 12 goals in total. All the latest headlines from the newspapers in Italy as Juventus must impose themselves in the Champions League as well as domestically this season. – Milan and Inter – The revival – On Sunday 12 goals, good play, new tactics and more trust. – Antonio Conte launches Juventus – “They’re experienced in the cups and can take advantage”. – Massimiliano Allegri to start with Carlos Tevez, who hasn’t scored in a European match that counts for five years, five months. – Gervinho renews contract until 2018 with Roma. – Juve try again, Champions League campaign begins. After recent failure in Europe’s elite competition, the Bianconeri want to achieve more and Allegri will now be the one asked to guide them forward to make progress. – Jeremy Menez, from free agent to golden boy of Milan. Former PSG star has scored three goals in his first two games for the club and insists that he is ready to show his worth and repay the faith shown in him by Pippo Inzaghi. – The Frenchman dismisses his past problems and is ready to sacrifice himself for the team. – Mauro Icardi, the price-tag triples, worth 40m to Inter. – Napoli look for love from their fans. Rafa Benitez, Aurelio De Laurentiis and players all under pressure after poor start to the season, and they will look for a boost in mid-week when they get their Europa League campaign underway. – Juventus begin Champions League campaign – it’s not enough to watch, after the delusion of last year, the Bianconeri need to perform. 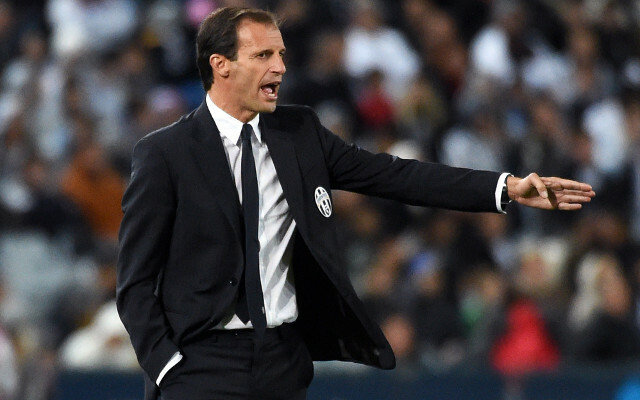 – Allegri: “This team can impose itself in Italy and in Europe”. – Inter ready to lock-down Icardi. – Ventura search for the remedy for their troubles in front of goal.